Hi Everybody! I have to apologize for my lack of posts over the last year! I'm happy to tell you, though, that we're still here, and still planning our annual fiber sale for the second Saturday in April (as we always have done). This year, happily, we don't conflict with the Whidbey Island Spin-in in Oak Harbor (April 2 & 3) or Shepherd's Extravaganza in Puyallup (the week after our sale). 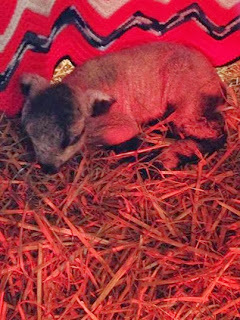 We will again have shepherds who raise different breeds from our Romeldale/CVM sheep. So the lineup will include Romney and Romney crosses, Icelandic, Gotland, Dorset, Shetland, Angora (mohair goat), and llama. In addition, our favorite woodworker will be here with his treasures. I've gotten some processed roving back from Snow Peaks Fiber mill - a luscious confection of our dark chocolate-colored wool blended with alpaca & silk which I call "The Dark Side". Also some sweet gray yarn, a blend of CVM and kid mohair. I think the mill will be able to finish another batch of yarn which I think I'll call "Snickerdoodle". 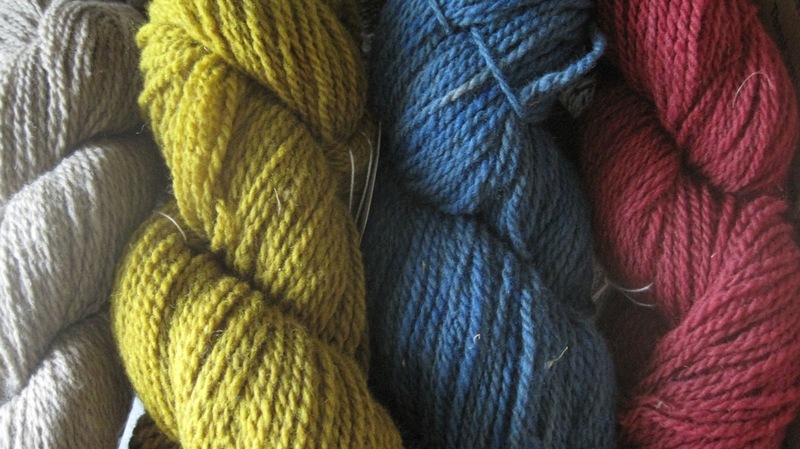 There will be some handspun yarn available, too, in case you're in the mood to get to your knitting quickly. Two of our dear friends have been busy at their wheels. Thank you, once again, for braving the elements (I sure hope we don't have snow again this year! ), and coming up to shop from our local farmers. Address is 5740 Mertz Rd., Bellingham WA 98226. From I-5, exit at Sunset Blvd./Mt. Baker Hwy & drive east. At Hannegan Rd., turn left (north) and drive past the Smith Rd. intersection to Axton Rd. Turn right (east) on Axton, and it's 1.1 mile to Mertz Rd. Turn left onto Mertz. We're the first barn on the right. If you get lost, please call me on my cell, 360 770 6044. See you then! It’s that time again! We are busily preparing for the upcoming Wonderful Woollies Fleece & Fiber Sale, April 11, 2015, 10 a.m. - 4 p.m. here at our farm. The sheep are sheared (all except Bliss & Raoul, who were sheared late last year), the fleeces are skirted and I’m in the process of weighing & bagging them up for the sale. We got wool back from our two favorite processors - Snow Peak Fiber Mill in Lebanon, Oregon - (previously Creekside Fiber Mill) and Evergreen Fleece Processing in Woodinville, Washington - Both are very capable of working with our fine, soft wool. We also recommend Zeilinger Wool Company in Frankenmuth, Michigan - They are excellent and very experienced. Kathy and her staff at Snow Peak made some gorgeous bumps of roving, in a pale variegated moorit - think light “café au lait”, and some gorgeous gray CVM/alpaca blend. Kathy also made some yarn for us. We have white 3-ply worsted weight yarn which knits up like a dream, and sport weight 2-ply in white and moorit brown, great for knitting and weaving. So if you think of your non-spinning, knitting/weaving friends, these might be good gifty things. :-) Chuck at Evergreen Fleece made some creamy white roving for us, from our ewe, Bliss and her friends. 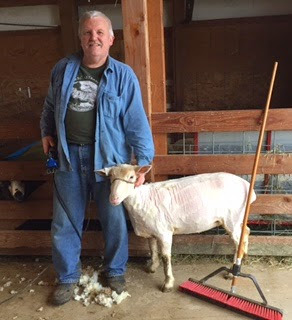 This was the first time we have had fleece processed by Chuck, and he did a wonderful job. It’s so nice to have a good processor nearby. As you know, we invite several other farms to participate in our sale. We love being able to offer a variety of fibers from our local farms. With us this year are: Dawn Deshmane - Romeldale/CVM & crosses, Joanne Martinis’ Windy Hill Farm Gotlands, JNK Llamas, Kathy Green’s Ferndale Fibers & Romney crosses, Rocky Long’s Romeldale/CVMs from Little Orchard Farm, Margaret Magic’s Magic Batts, John Park’s Shetlands from Marietta Shetlands, Nancy Giordano’s Shetlands and crosses from Nancy’s Farm, Janet Maricle’s dorsets from River Glen Farm, Rhonda Wregglesworth’s mohair from River Ranch Angora Goats, Allen Berry - the Spindle Smith’s hand carved treasures, and Tina Thomsen-Park’s handspun yarns & crochets. We’re keeping fingers crossed for good weather, and thank all of you for venturing out (even in the snow, a couple of years back)! Directions: From Interstate 5, take exit #255 and head east on Sunset Drive. Continue about a mile to the Woburn/Hannegan intersection and turn left (north) onto Hannegan. Continue north on Hannegan, go past Smith Road intersection (light), and at the next main turn, go right onto Axton Rd. It’s 1.1 mile to Mertz Rd, which turns only left (north). We’re the first barn on the right. Address is 5740 Mertz Rd., Bellingham WA 98226. If you get lost, my cell # is 360 770 6044. IT’S ALMOST HERE! Yes, friends! 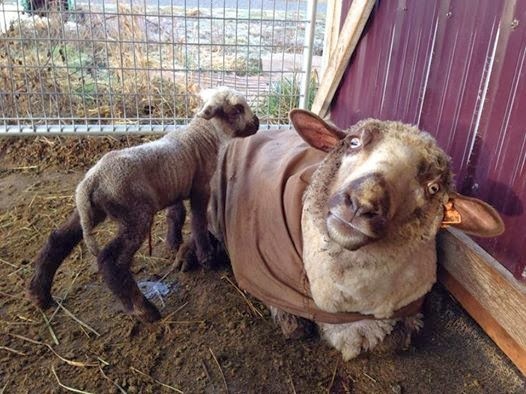 Our annual Fiber & Fleece sale, WONDERFUL WOOLLIES will be this coming Saturday, April 12, 2014, 10 a.m. - 4 p.m. I hope you will be able to come. We have a great variety of fleeces & related products. Here is a complete list of participants: Dawn Deshmane’s CVM/Romeldale crosses - fiber Felicity Fibers, Karen Washington’s flock of alpacas - fiber Windy Hill Farm, Joanne Martinis’s Gotland crosses - fiber & spectacular pelts JNK Llamas, Niki Kuklenski’s llama fleeces & fiber (including blends) Ferndale Fibers, Kathy Green’s sheep fiber & roving Little Orchard Farm, Rocky Long’s CVM/Romeldale fleeces, roving & combed top Marietta Shetlands, John Park’s Shetlands, fleeces & roving Nancy’s Farm, Nancy Giordano’s crosses - fiber & batts River Ranch Angora goats - Rhonda Wreggelsworth’s mohair fiber Spindle Smith - Allen Berry’s hand-carved spindles, needles, hooks & other delights (Allen says he has some new specialties - I can hardly wait to see!) Tina’s Treasures - Tina Thomsen-Park’s hand made yarn Spinners Eden Farm - CVM/Romeldale fleeces, roving, yarn, & blended batts We are planning to have demonstrations on carding, combing & spinning, and please bring your questions about our wonderful fiber animals, washing/processing fleece, whatever! We will do our very best to help you with your fiber-related questions. 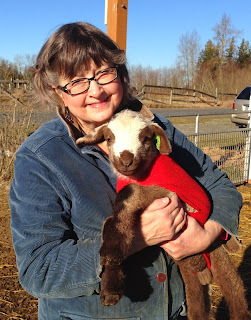 And if you’re considering adding fleece beasties to your family, this is a wonderful place to connect and talk directly to yarn farmers. And for your viewing pleasure. . . LAMBS! 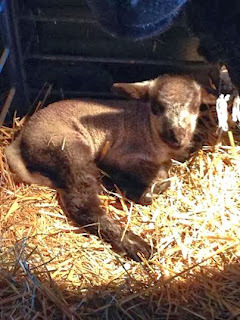 We had nine ewes & two rams born this year. All are beautiful, healthy & full of personality. Here are DRIVING DIRECTIONS: From Interstate 5, take exit #255 (Sunset/Mt Baker Hwy) and go east. Drive about a mile to the intersection at WOBURN/HANNEGAN. Turn NORTH (left) onto HANNEGAN. Continue a few miles, go past the Smith Rd. traffic light to the next intersection & turn EAST (right) onto AXTON Rd. Drive 1.1 mile & you’ll see Mertz Rd. Turn left onto MERTZ & we’re the first barn on the right. If you get to Shuksan Golf Course, you’ve gone about three blocks too far, so turn around & drive back. If you get lost, phone 360 770 6044 for directions. Looking forward to seeing you! For those of us who are shepherds, this is like Christmas. 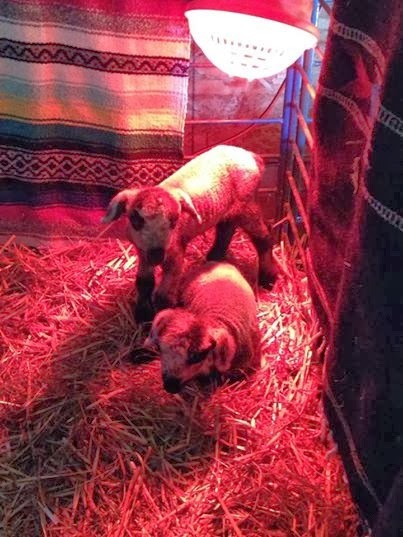 We are having lambs. After last summer, carefully choosing which seven of our precious ewes to breed, and to which rams (two champions), making sure all are happy together, then watching nutritional status throughout five months of gestation, the little ones are beginning to arrive. This is the most exhausting time of year, what with frequent barn checks and births occurring at all hours (frequently very early mornings). I really like to be present for the births. So this is the time of year that I’m most likely to put cat food in the coffee grinder instead of beans, or brush my teeth with hand cream. But with occasional naps, fueled by sufficient amounts of coffee or breakfast tea and Scottish oat cakes, we manage to get through it. And it’s a joy to see the new little ones & make sure they get off to a good start. Bliss surprised us a little early with Jerome, a stunningly handsome CVM ram, white with caramel markings. Bliss is a wonderful, happy mother & I enjoyed watching her with her babies last time. She is mostly white. I call her my “fleece machine”. 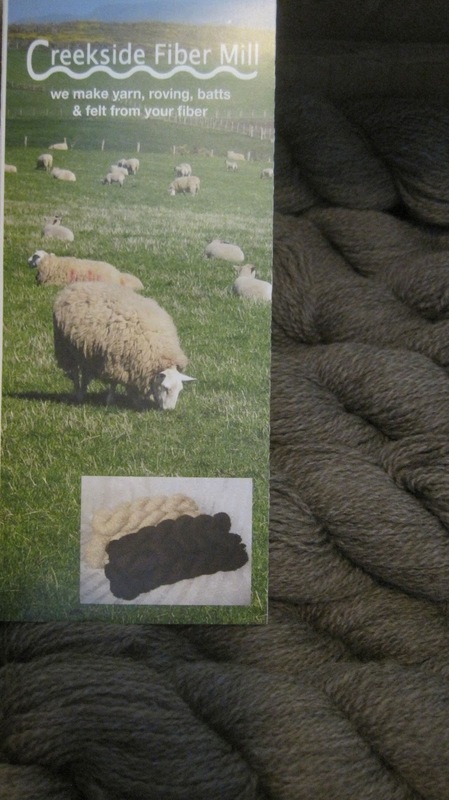 Year after year she produces large, dense, long, fine-to-medium wool. And all this in a truly sweet & friendly sheep. If Jerome has her wool quality and his father, Abraham’s body structure, he will be a good candidate for showing, and may serve as another “stud muffin” eventually. Isabelle had twins - a black ram & white/brown ewe, and Thisbe delivered stunning triplets, all ewes - Ziva, Abby & Barrett. These are her first lambs, and although she was apprehensive at first, she’s doing a beautiful job of keeping them all warm & well-fed. They are in the lambing jug this morning, but should join the rest of the flock this afternoon. Tomorrow, April 13, we will host several farms for the Wonderful Woollies Fleece Sale! This is our third annual event & we are looking forward to seeing many of our old & new friends. We have some new farms participating, so here’s the complete list: Carol Boswell Camelot Ranch Alpacas; Dawn Deshmane CVM/Romeldale; Karen Washington Felicity Fibers/Alpaca; Joanne Martinis Windy Hill Farm Gotlands; Jeff & Niki Kuklenski JNK Llamas; Kathy Green Ferndale Fibers, various crosses & fiber; Rocky Long Little Orchard Farm CVM/Romeldale; John Park Marietta Shetlands; Nancy Giordano Nancy’s Farm, various crosses, fiber & fun batts; Patty Yager alpaca; Rhonda Wreggelsworth River Ranch Angora goats; Doug & Yvonne Madsen Spinners Eden Farm CVM/Romeldale; Allen Berry Spindle Smith carved spindles & tools; Brigget LeClair Wake Robin Farm, Icelandic. As you can see, we have a lot of variety this year - hopefully something to please everybody. 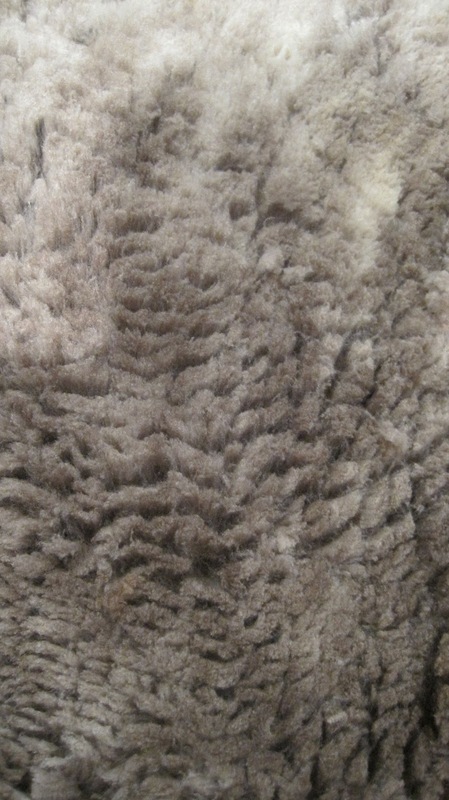 I know I love to experiment with fleece from different breeds of sheep. Each has it’s unique place & best purpose in the fiber world. 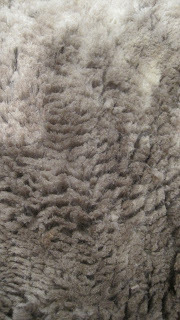 Here's one of our fleeces: As for our farm, we are happy that we got all our fiber back from the processors in time for the sale. A Great Big Thank You to both Creekside Fiber Mill in Lebanon OR, and Fantasy Fibers in Canby OR for their excellent work! We highly recommend both. We have roving from both mills, and some beautiful mill-spun yarn from Creekside available this year. 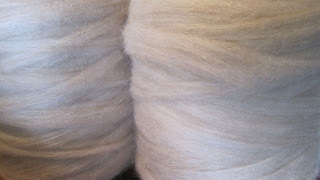 And as a special treat, Spinners Eden collaborated with JNK llamas to create two gorgeous roving blends. One is a combination of our Athena, with JNK’s Sirmione - a great pairing. The other is a CVM/llama/silk blend that is to die for. I had some moorit yarn spun, and wondered how it would do in the dyepot, so I tried some bright primary colors. I was pleasantly surprised by the outcome, using Jacquard Acid Dyes in Brilliant Blue and Fire Red, and Dharma Trading’s Acid Dye in Brilliant Yellow. The thing I like about using acid dyes is that the only mordant needed is vinegar. That’s the acid. Not scary at all. :-) Using acid dyes does require some heat. I did the blue yarn in an old Goodwill crock pot that I use only for dyeing, & left it in for a couple of hours to cook, and a couple of hours to cool. (If I had wanted a more uniform color, I would have used a bigger pot with more room for the yarn to move around.) Back to the fiber sale, we will open at 10 a.m. Early birds pay double. Just kidding. Address is 5740 Mertz Rd., Bellingham WA. We are 1.1 mile east of Hannegan Road on Axton. It’s a straight shot east from downtown Ferndale, & if you get to Shuksan Golf Course, you’ve gone three blocks too far. :-) Hope to see you!